Genuine Appliance Parts is an Authorized Retailer for Fisher & Paykel Appliance Parts. We stock thousands of parts for Fisher & Paykel appliances! These are just a few of the items we stock! Click any part for more info! We also have expert technicians on staff who can assist you if you have technical questions regarding your Fisher & Paykel appliances. Call us at 800-772-1193 for tech support! THE FISHER & PAYKEL LOGO IS A REGISTERED TRADEMARK OF THE FISHER & PAYKEL CORPORATION AND IS USED WITH EXPRESSED PERMISSION. GENUINE APPLIANCE PARTS IS NOT OWNED OR OPERATED BY THE FISHER PAYKEL CORPORATION. 55 Items. Showing Items 1 thru 20. 395029 Fisher Paykel DX1 Series Dryer Door Bracket. Fits DX1 series dryers. Genuine Fisher Paykel factory replacement part. 395034 blower wheel fits all Smartload (top load) Dryers including DGGX2US DG62T27D DE1X2US DE27CW1US DGIX2US DEGX1US DE62T27D DEGX2US DGGX1US. Genuine Fisher & Paykel Factory Replacement Parts. Lint filter retainer ring fits all Fisher Paykel Smartload (top load) Dryers including DGGX2US DG62T27D DE1X2US DE27CW1US DGIX2US DEGX1US DE62T27D DEGX2US DGGX1US. The lint filter attaches to this ring. If your lint filter will not stay in place, you should replace both parts as a set. 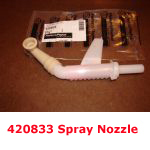 This is a genuine Fisher & Paykel Factory Part. 395138 Lint Scraper for Fisher & Paykel Smartload Dryers. This scraper transfers the lint from the rotating lint screen into the lint bucket. When it becomes dull it will lose effectiveness. 395152 Fisher Paykel Electric Dryer Wire Harness Lead. 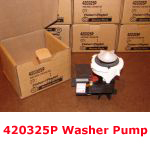 Fits Fisher Paykel Electric TOP LOAD dryers. Wire Harness for the reset thermostat. 395155 Reset Thermostat for Fisher Paykel Smartload (top load) Electric Dryers including DE1X2US DE27CW1US DEGX1US DE62T27D DEGX2US. This is a Genuine Fisher & Paykel Factory Replacement Part. 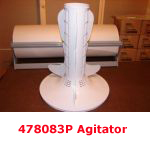 Motor and Blower assembly for all Fisher & Paykel Smartload (top load) dryers. Includes motor, blower fan and wire harness. 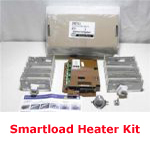 Fits all smartload including: DGGX2US DG62T27D DE1X2US DE27CW1US DGIX2US DEGX1US DE62T27D DEGX2US DGGX1US. Genuine Fisher & Paykel Factory Replacement Part. DOES NOT FIT THE FRONT LOAD MODELS! Lint collector bucket for Fisher & Paykel Smartload dryers. 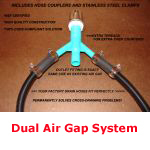 Fits all models including: DGGX2US DG62T27D DE1X2US DE27CW1US DGIX2US DEGX1US DE62T27D DEGX2US DGGX1US. Genuine Fisher & Paykel Factory Replacement Part. 395362P Fisher Paykel Door Clip Bracket 3 Pack. Genuine Fisher Paykel factory replacement part. 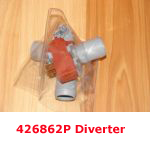 Fits Fisher Paykel DEGX1, DGGX1, DEGX2, DGGX2, DEIX2, DGIX2, DE27, DG27, DG62, and DE62 series. 395372 Fisher Paykel DX1 Series Dryer Bracket Door Key. Fits DX1 series dryers. Genuine Fisher Paykel factory replacement part. Fisher & Paykel 395455 Auto Reset Dryer Thermostat. Mounts on the right side of the heater box. For SMARTLOAD models only! Will not fit front-load models! Genuine Fisher & Paykel Factory replacement part. Fisher & Paykel Natural Gas to LP Gas conversion kit for SMARTLOAD dryers. WILL NOT FIT THE FRONT LOAD MODELS! 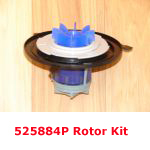 395498 Fisher Paykel Top Load Dryer Lid Lock. 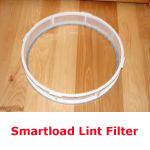 Fits Smartload Dryers.